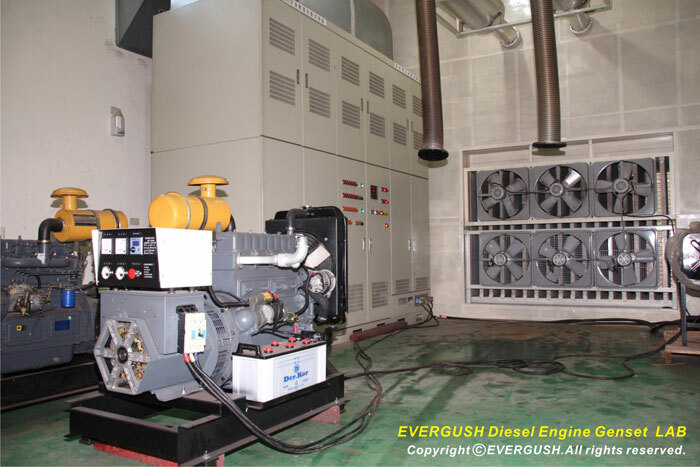 The whole generator set includes diesel engine, alternator and control panel. It is mounted on a base. No need to worry about vibration. Durability is excellent. 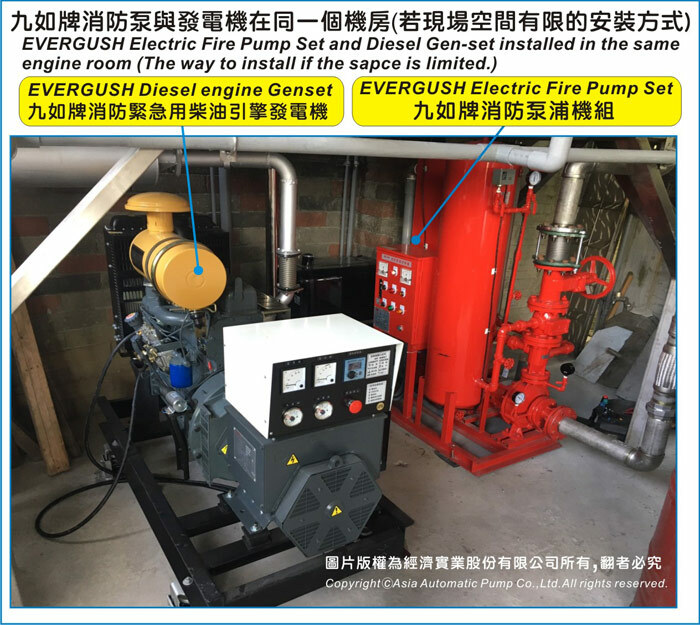 The alternator and diesel engine are in direct connection on a mounting frame. It conforms to international standards during operation, such as CNS、JIS、BS、DIN、NEMA and so on. 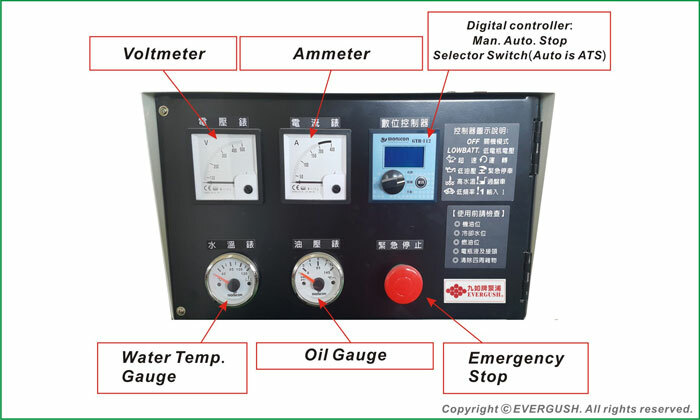 It has automatic prevention and warning devices with high water temperature, low oil pressure, over speed, starter overrun,…etc. If above conditions occur, it will automatically stop and sound the alarm in order to ensure the safety of personnel. 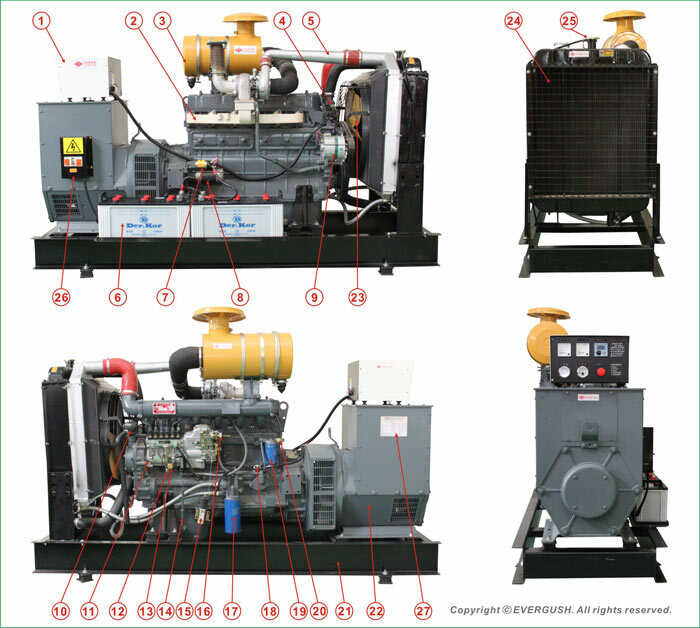 The generator adopts "STAMFORD" brand self-excited brushless alternator. 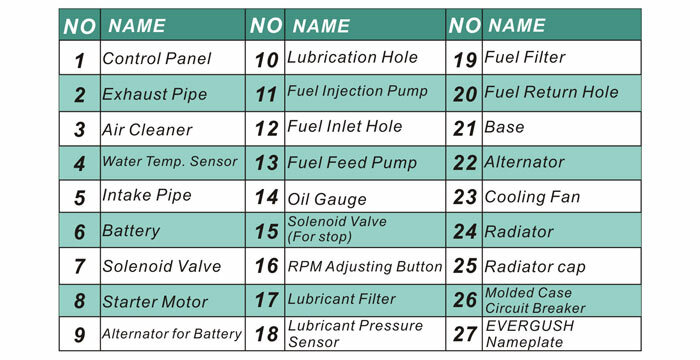 It is simple to operate and easy for maintenance. It has compact and strong structure which conforms to the provisions of IEC34-7 of Im1201. The generator stator and rotor winding are made of insulation class H. It can provide high thermal conductivity, moisture resistant, heat resistant, pressure resistant and robust structure features. 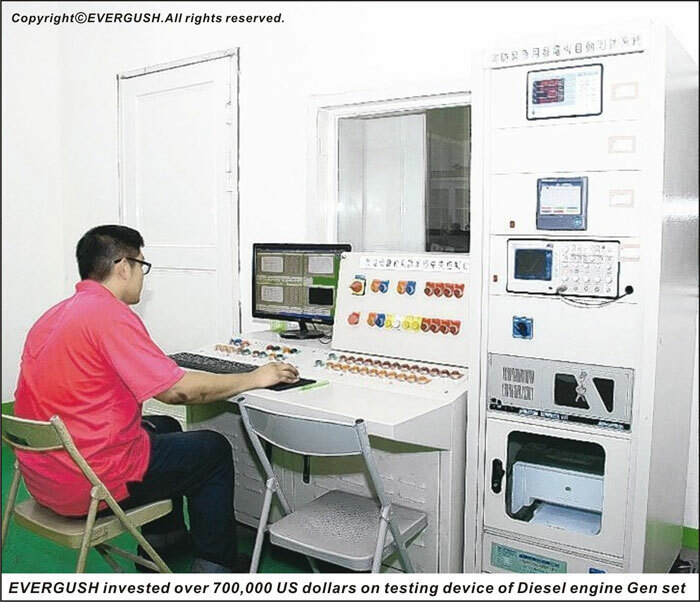 The generator comes with electronic type automatic voltage regulator (AVR), no load to full load voltage frequency variation within ±1%, maintaining output voltage stability. 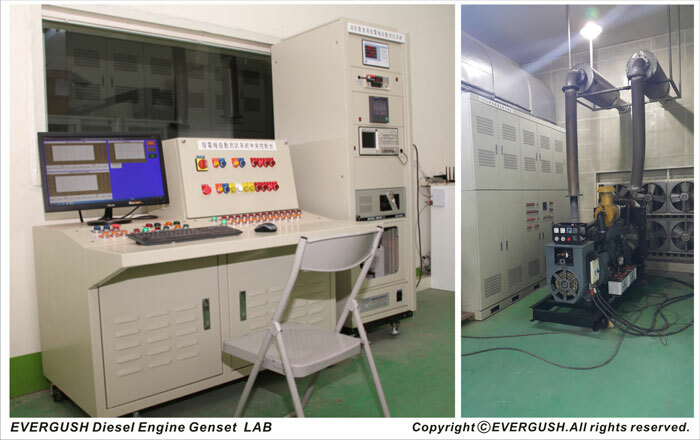 The generator output voltage is adjustable according to customer demand. 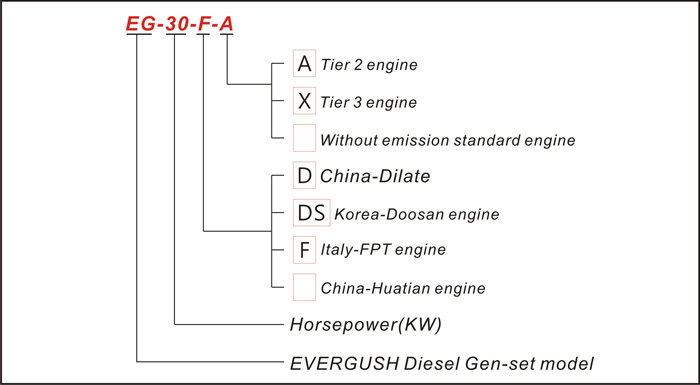 Diverse engines selection, included DOOSON, FPT, CUMMINS, PERKINS,or CHINA brand engines. NOTE1. 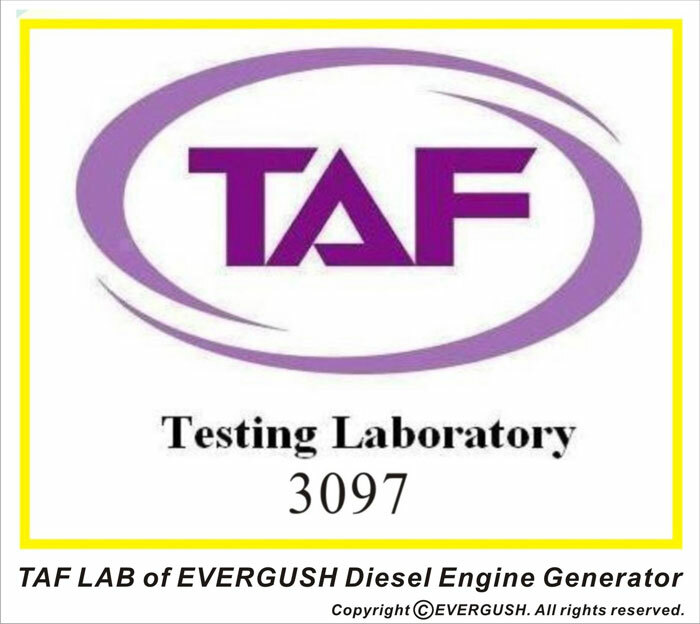 EVERGUSH DIESEL ENGINE GEN-SET has been certified TAF LAB. approval. NOTE2. 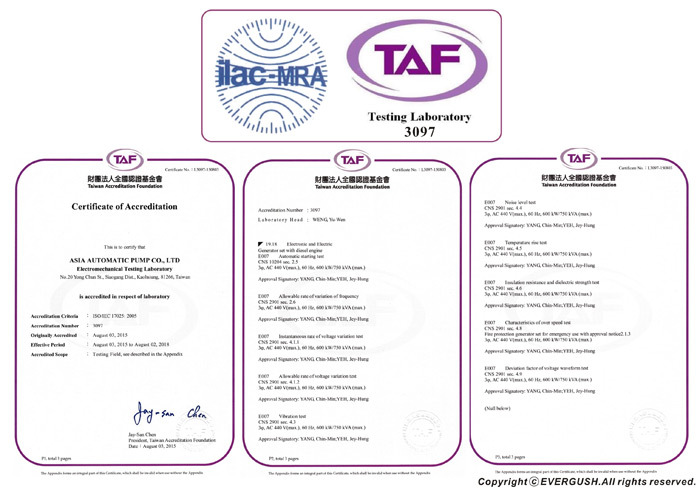 ilac- International Laboratory Accreditation Cooperation ; MRA-Mutual Recognition Arrangement. http://ilac.org/ (Please link to ilac official webpage). 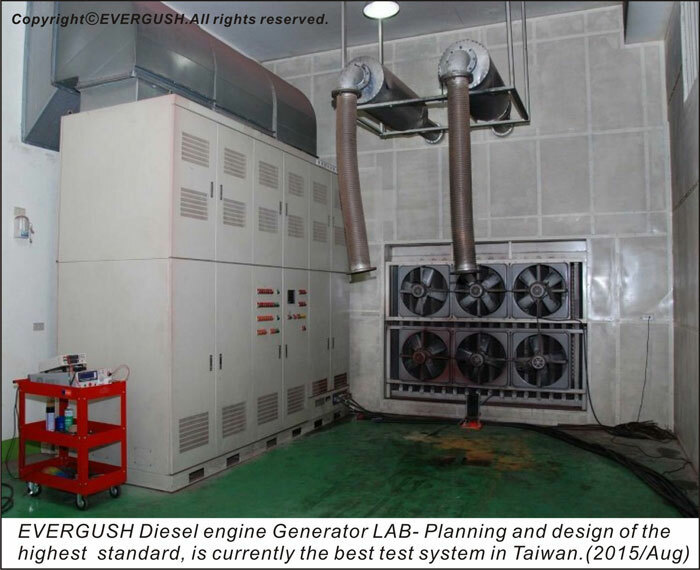 Engine import certificate, certificate of origin and warranty certificate. EVERGUSH hold the generator show for the first time in more than 45 years history.